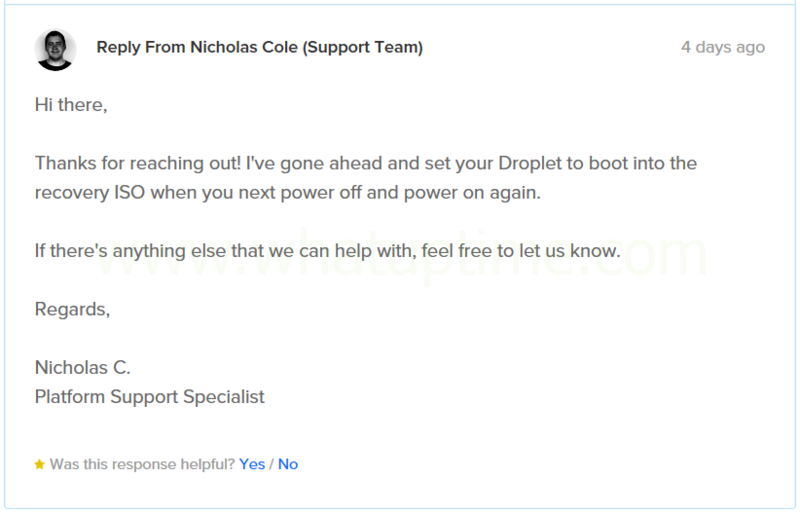 You no longer need to open a ticket to request your Droplet to be booted into “Rescue Mode”, you may do it yourself via your DigitalOcean client area! 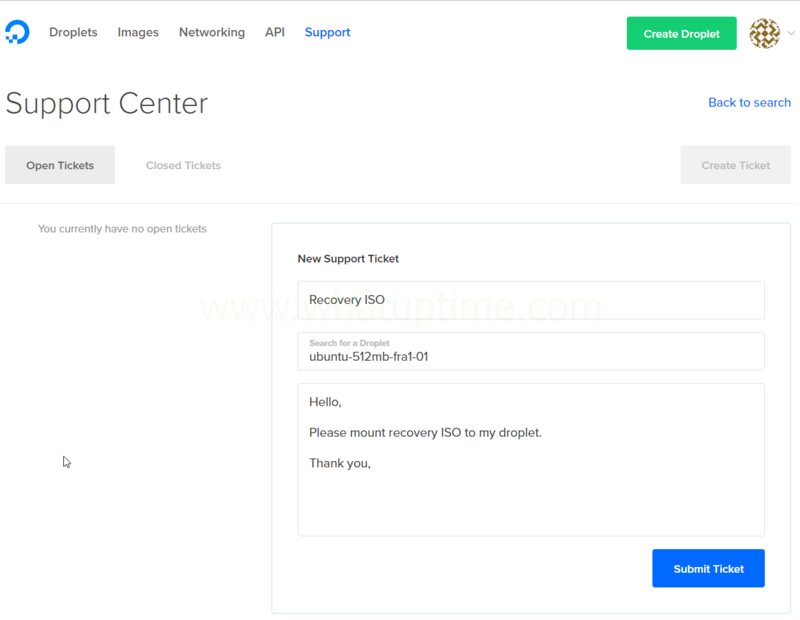 We, the volunteers here at WhatUpTime, have built special templates allowing Windows to be installed via DigitalOcean’s Recovery ISO; their Recovery ISO is available with all of their droplets, however you need to request it to be mounted via support ticket. Additional assistance is available via our community forums. Choose “Turn Off” – When you have chosen “Off / Switch Off” you will be presented with an warning message providing some good information. I would recommend reading the message thoroughly so you are well informed for the future. When you have read the entire message continue by choosing “Turn Off”. Access Interactive Shell – Your recovery environment now has network access allowing us to continue with the downloading and installation of Microsoft Windows to your Droplet. Choose “6” on your keyboard to choose option #6 (“Interactive Shell [/bin/bash]”) and then choose “Enter” on your keyboard to run the command. 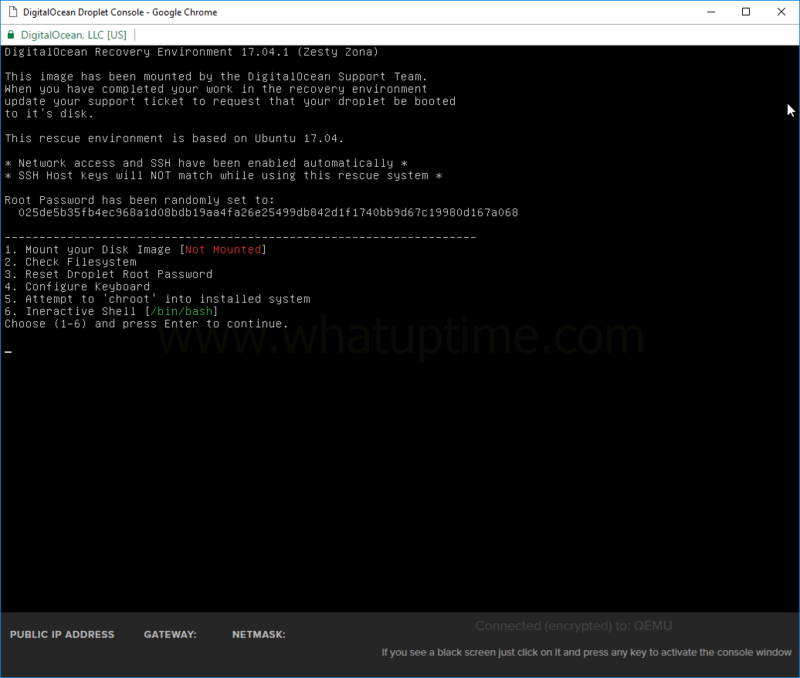 Installing Microsoft Windows – To begin the Windows installation you will need to input the following command into your Droplet’s console. Please ensure the command matches perfectly otherwise your installation will likely fail. ← Microsoft Windows on DigitalOcean! “I can not enter the character in the virtual keyboard, so I can not get in. How did you paste? Which keyboard layout & language do you have? If you do not have “|” on your keyboard you have two options I can think of off hand. 2) The Recovery ISO provided by DO does have the option to install SSH Server. 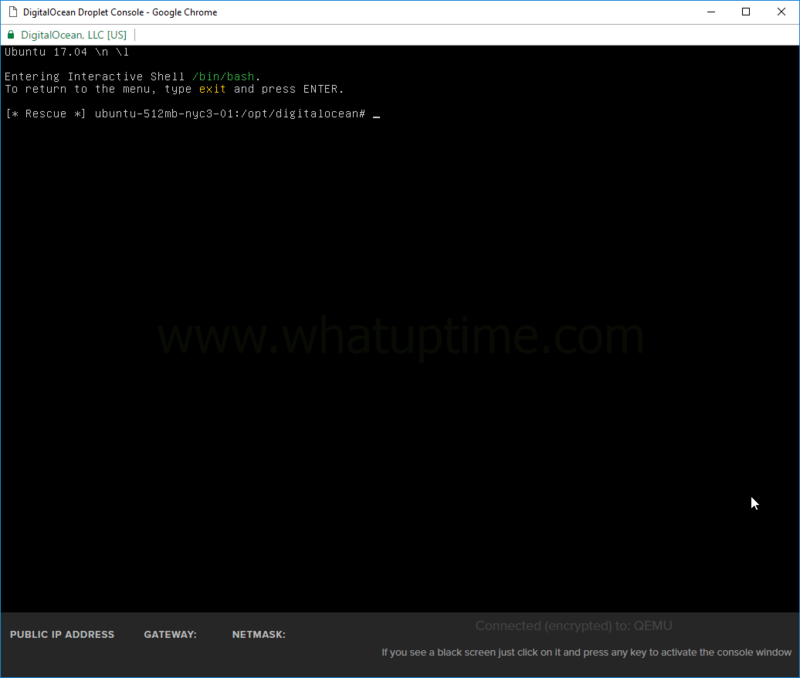 You can install the SSH Server, connect to your Droplet running the Recovery ISO via SSH and run the same commands (You can copy & paste). Is it possible to do this on scaleway C2S? Unfortunately not at present, Scaleway doesn’t allow you to run your own kernel on either their VM’s or dedicated servers. As such there is no way to boot into Microsoft Windows. The digital oceans have released additional disk space called volume. Can you share documents about adding these fields to windows? That is certainly possible, will add it to the list of things to review. Please create a thread in our forums for any/all requests. Thank you for your kind words, glad it worked out well for you! Great write-up! 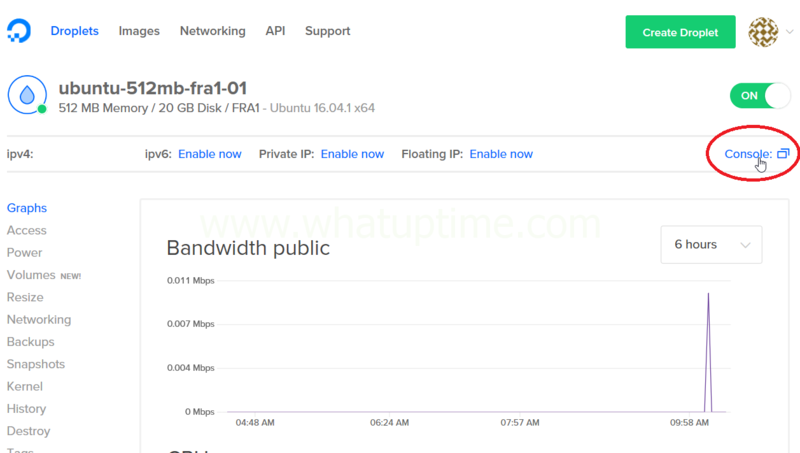 I’m wondering if there is a way to move an existing installation (physical or virtual) onto the cloud? Would be great if I could move a couple of my servers and boot them up so they run as a droplet on DigitalOcean. It would theoretically be possible, however it may take some trial and error to do it. The primary things that come to mind.. 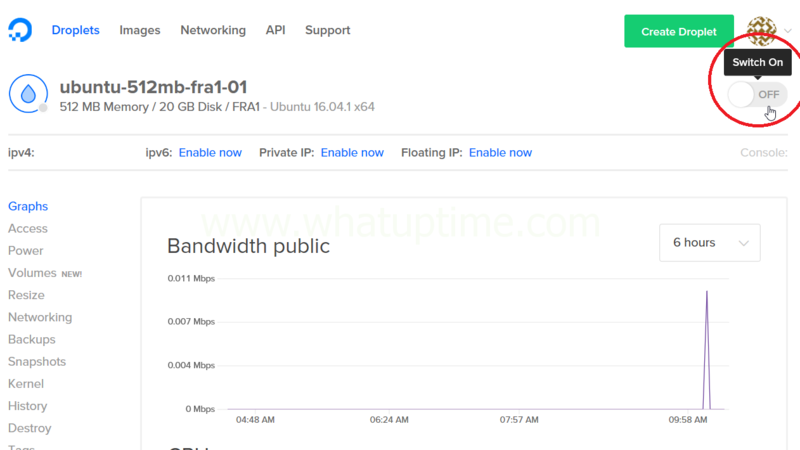 The biggest concern would be the fact your disk image may have issues due to it being a much larger physical disk when you are creating the image than you will have with your new Cloud Server/VPS. Feel free to post in the forums and I will advise where I am able. Thanks for the reply. I think you might be right in your assessments regarding this matter. There has to be an easy way to do this? We should definitely team up here to find a solution. If you find this case interesting of course. Please feel free to create a thread in the forums here and we will see what we can do. 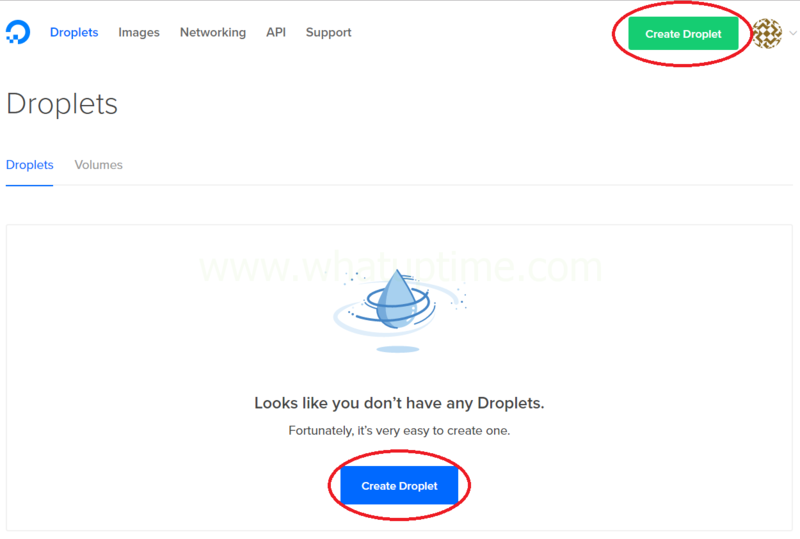 Please double-check you completed step #23, you need to ensure you manually configure your Droplet’s IP address inside Windows before you will be able to connect with Remote Desktop (RDP). Please create a new thread in our community forums. but need a help though.What ethernet should I manually configure? no.2 or 3? Will upgrading the droplet from $5 to $10 or $20 break the installation? You shouldn’t have any issues upgrading. Once you have upgraded your Droplet you will need to manually expand your hard drive partition using Disk Management. The same applies for downgrading a droplet? Yes & No, when you upgrade your Droplet you are given the option to increase your disk size or leave it as the current size. In order to downgrade in the future you will need to avoid upgrading the disk size and always keep it the same. So if a user is running a $20 droplet and they want to upgrade to any higher tier droplet, while maintaining their working windows installation, they need to make sure to choose the “CPU and RAM only” option when upgrading. Thanks for answering all these questions and for providing such an awesome workaround. This correct ONLY if the user wants to downgrade the Droplet in the future. I did hit 1 snag. Not your fault, but worth mentioning: You cannot snapshot the droplet and restore it later. Will not work. Talked to support and they said restoring a snapshot does linux-y things and if it cant do it, it will fail. So you must make these boxes one at a time and involve support for recovery iso. If not, what are the steps to build an image? Presently there aren’t any templates available for Windows 8/8.1, however I will be adding the trial versions in the future. The steps to building a template are rather involved unfortunately, I plan to write an article when I have time to do so. Please create a thread in our community forums so we may assist you further. I got the same issue yet no clue to resolve this. Please create a thread in our community forums. There is an problem in ISO LINKS! The download links for the templates have recently changed, however the mirrors are still very much online. In order to obtain the new download links you will need to submit a donation using the form just above the comment section here on this article. Once your donation has been received you will receive an activation link via email allowing you to access the remaining parts of the article and updated download links for each of the templates. Please create a thread in our community forums here. the new number of cpu hasn’t detect by windows os when i resize the droplet. Are you personally running into an issue? If so, please create a thread in the community forums so we may debug. I don’t have any money and i really want to learn how to do this, please help me guys. I successfully completed Step #23 (my droplet can connect to the internet now in the console) but when I try using RDP, it just won’t log in. Is this how I am supposed to input my credentials? The credentials you need to use when logging into Remote Desktop are outlined above; it will _not_ be the username & password received from DigitalOcean. Above in the guide where you ascertained the link to download/install the template you will find the login credentials directly below in a yellow box; the credentials vary from one template to the next in some cases. Please create a new thread in our forums ensuring you provide all the information requested in the sticky thread in the support section. Why can not I type the symbol | in the consoler window. Copy and paste with the right mouse is also prohibited. I want to type the symbol | What should I do? Please create a thread in our forums following this guide. I cannot download complete. Please help me. Please create a thread in our forums.